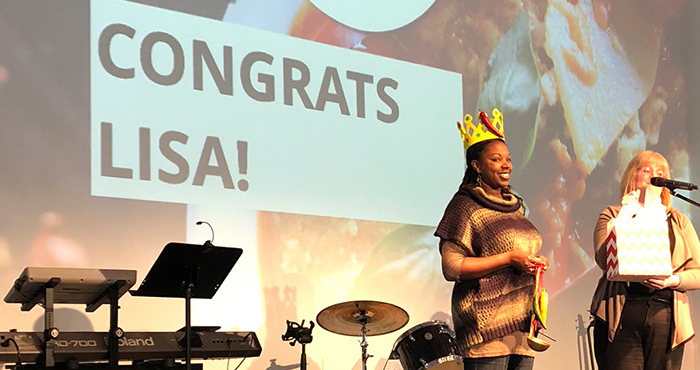 This past Sunday, we officially crowned our 2019 Westheights Chili Cook-off Champion, Lisa Coates-Cameron. In fact, the coronation was really a re-coronation: Lisa has won our Chili Cook-off once before, meaning she has won two out of four competitions! Lisa entered a completely different chili this time around. Check out her winning recipe from two years ago here and her 2019 winning recipe below. *All measurements are approximate as I never measured my ingredients. 1. Place oil in a fry pan over med/ high heat add chicken seasoned with a little salt and pepper. 2. Fry chicken on each side for 2-3 mins. 3. Place onion, garlic, & chicken in slow cooker, cook on high for 2-3 hours. 4. Remove chicken from slow cooker and discard bones and skin. Break up chicken into small pieces and return to slow cooker, add beans, chillies, jalapeños, salt, pepper and chilli flakes. Cook on low for 4-5 hours. 5. Remove about a cup of liquid into a separate bowl whisk in corn flour. Let it thicken (about 1/2 an hour). 6. Add corn and let simmer for another 1/2 hour. 7. Prior to serving add 2 cups of cheese and stir well, sprinkle remainder on top. Congratulations again, Lisa! With 18 chili contestants and 160 chili judges, this was a smoking hot event. We obviously take chili (and fun) very seriously at Westheights! Thank you again to everyone who contributed and voted!